Bloat can be a funny word sometimes – but there is nothing funny about bloat when it comes to dogs – this issue in dogs is downright scary and must be addressed immediately and properly. Dog bloat, twisted stomach and stomach torsion, all refer to the medical term, gastric dilatation-volvulus, abbreviated as GDV. This is a life-threatening condition where a dog’s belly fills with gas (gastric dilatation) and causes the stomach to twist (volvulus), cutting off the blood supply to the abdominal organs and ultimately causing death if untreated. Because of the urgency of this condition, it is very important to be able to identify the symptoms of GDV. If you witness the following conditions, take your dog to the vet or an emergency animal clinic immediately. Bloating in the stomach. This is not subtle swelling – it will be obvious that the dog’s belly is distended with air and gas. Repeated attempts to vomit or belch. The dog will try to release the buildup and pressure of air inside. With GDV, the entrance and exit to the abdominal cavity have been pinched off by the twisting of the stomach and the effort to belch or vomit will be futile. Shallow panting. These small rapid breaths are a sign that the dog is in distress. Restlessness or total immobility. 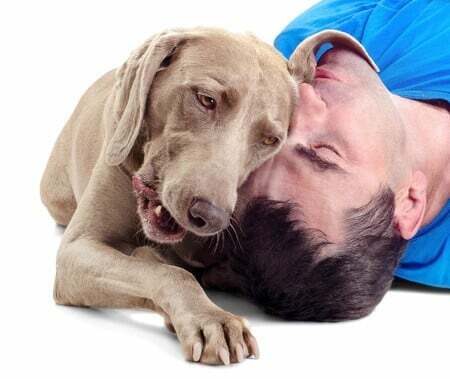 These opposites are both signs that the dog is uncomfortable and/or in pain. Pale gums and tongue. This is a clear indication that blood flow has been disrupted. Even if you only see some of these symptoms, it’s best to head to the vet’s office and ask questions later. It is possible for a dog to develop bloat without it escalating to a twisted stomach, but only an x-ray can determine that for sure. 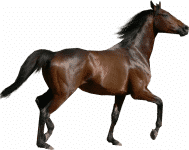 Once GDV occurs, the clock is ticking so I cannot emphasize enough the importance of seeking immediate treatment – this is not a condition that can be approached with a “wait and see” mentality. Unfortunately, treatment for GDV is not always successful. This condition has a mortality rate of about 30 percent, and there can be serious complications encountered while trying to correct this issue. This condition is treated by first relieving the pressure in the stomach – through the esophagus if possible, or by inserting a needle into the abdomen. Once the air and gas have been released, the vet will determine if full GDV has occurred by taking an x-ray. If the stomach has twisted, surgery must be performed. This surgery has complications of its own – and the vet will discuss the possible risks and recovery issues – but once the stomach has twisted, surgery is the only possibility (to my knowledge) to save the dog’s life. 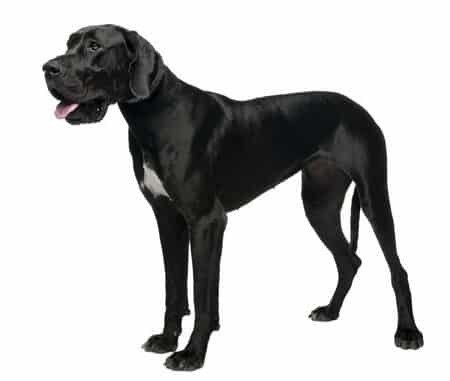 Large and giant breed dogs with deep, narrow chests are more prone to developing GDV – these include great Great Danes, some Setter breeds, Weimaraners and Saint Bernards. 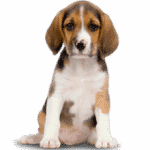 The cause of this condition is unknown and there has been extensive research and debate about key contributing factors – everything from the elevation of the dog’s food bowl to psychological stressors. But because this condition starts in the stomach – let’s start by looking at what is being put in the stomach. Most commercial dog foods contain a high content of ferment-able carbohydrates like corn, rice, and wheat. Not only do dogs not require these kinds of carbohydrates in their diet, this fermentation produces extra gas during digestion which is not good for any dog – especially one predisposed to GDV. Look into a low carb food that will naturally help cut out the extra gas. Also, consider the role nutrition plays in building a strong body and digestive system in general. The additives and preservatives in many kibble foods can actually deprive the body of being able to absorb whatever real nutrition the kibble may contain. It’s important to find a quality food that doesn’t just fill a dog’s belly but truly nourishes his whole body. An ounce of prevention could really be worth a pound of cure regarding GDV. Natural supplements can also help keep the digestive system balanced and healthy. The fact is – even if every good idea is implemented, it’s possible that this condition can still strike. Does this mean we should just throw up our hands and wait for the inevitable? Absolutely not. Be educated and proactive about bloat and GDV. The more you know, the better the chance your dog will survive or even avoid this awful experience. Renown nutritionist, Linda Arndt, affectionately known as the “Great Dane Lady“, promotes a supplemental regimen called a “Core 4” philosophy. As a part of all diets for this large breed, she recommends these 4 parts: 1. Dietary Enzymes (NZYMES Granules). 2. Digestive Enzymes & 3. Probiotics (Nzymes Bac-Pak Plus). 4. pH enhancement (Nzymes Ox-E-Drops). We have taken her recommendations and created a simple kit – seen below.